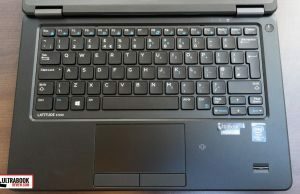 Dell Latitude 7250 and 7450 - are these proper business laptops? 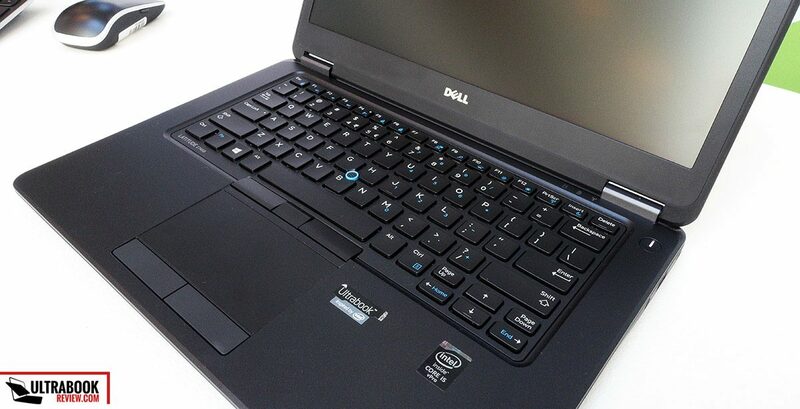 Dell Latitude 7250 and 7450 – are these proper business laptops? 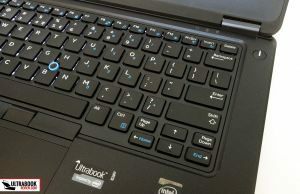 If you’re in the market for a business ultraportable laptop, Dell’s Latitude models are probably on your list, next to the Lenovo ThinkPads or the HP EliteBooks, among others. I got to see their latest models in action and use them for an hours. 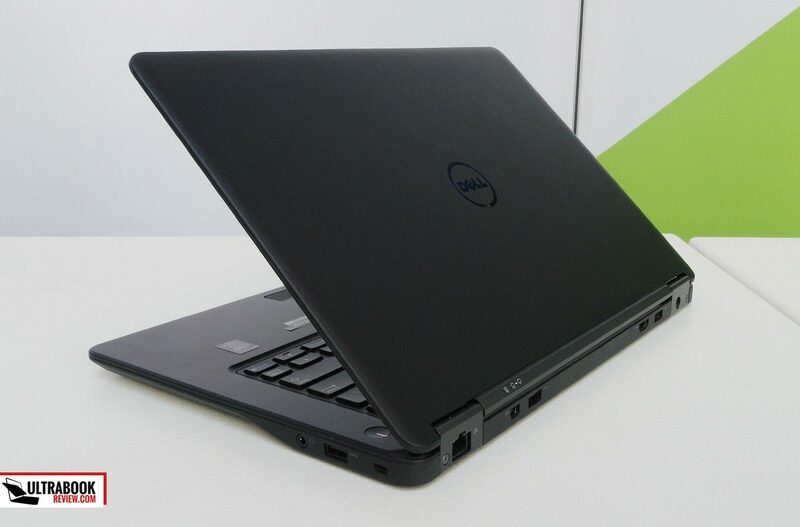 Dell did not offer them for proper reviews, so I will share my impressions with you, THis post is about the Latitude 7250 and the 7450 and we’ll also talk about the detachable Latitude 7350 in a different one. The two series have multiple aspects in common. 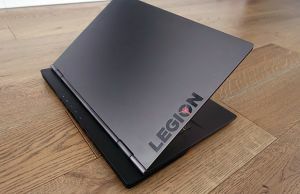 Both use magnesium and carbon-fiber for their chassis and cases, both pass Military grade durability and reliability tests, both offer removable batteries and the latest Intel Broadwell U hardware inside. 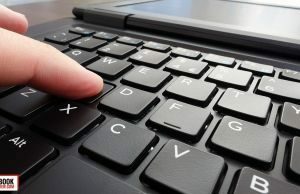 On top of that, both touch a few point most consumer laptops do not, and the rather long list includes the options for matte displays, clickpads with physical click buttons and a Trackpoint, fingerprint-readers, screens able to lean back flat (to 180 degrees) with durable metallic hinges, spill-proof keyboards, solid IO, support for dedicated docks, accessories and external batteries, to name just some of the important aspects. All these don’t come cheap though, that’s why machines like the ones here aren’t particularly interesting for consumers, but mostly for corporate environments, where the budget is not necessarily a concern and the specific features, durability and warranty/post-sale services are extremely important. 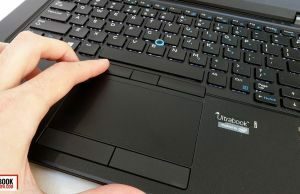 I’ve been using a ThinkPad X220 for many years before switching to an XPS 13 2015 in the last months and to be frank, the Latitude 7250 reminded me once more of all the tiny details I’m missing on the XPS. Anyway, the main difference between these two lines lies in the screen size and the overall body size/weight as a result. 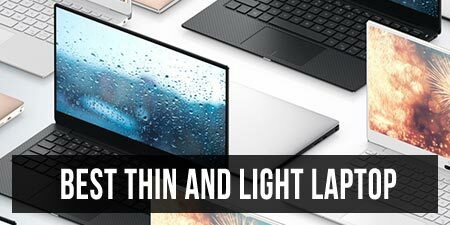 The Latitude 7250 offers a 12.5-inch display, while the Latitude 7450 gets a 14.0-inch screen, and I’m going to tell you a few things about each of the two models in the rows below. 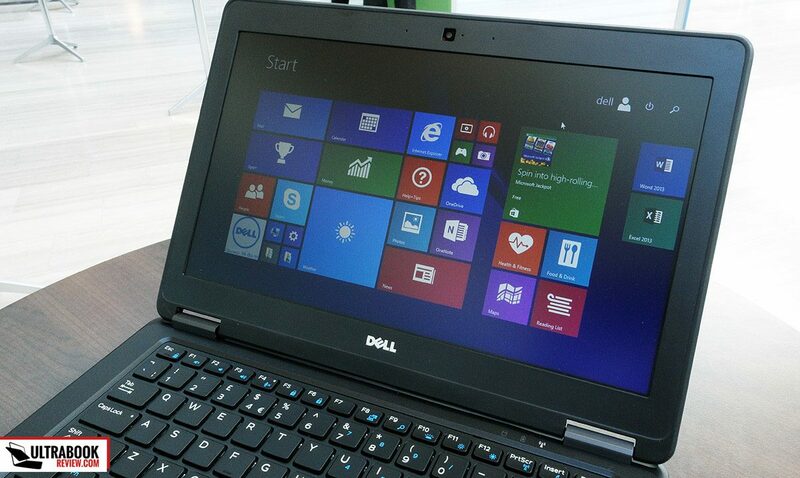 For me, 12.5-inch laptops strike the perfect balance between portability and power. 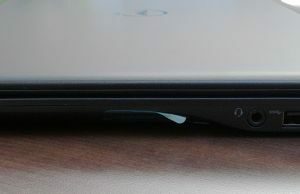 The Latitude 7250 weighs around 2.8 lbs (up to 3.3 lbs for the versions with a touchscreen and large battery) and measures 0.75 on a inch in thickness. Thus while there are definitely more compact and lighter notebooks out there, this one is still very portable. The design is simple, spartan and dull some of you might say. 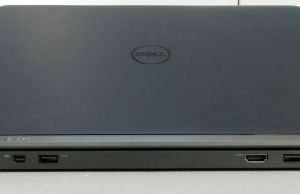 Gray and black materials are used for the entire case, and even the Dell logo on the hood is sober and not as shiny as on Dell’s consumer laptops. I for one am a big fan of such aesthetics, but they might not appeal to everyone. 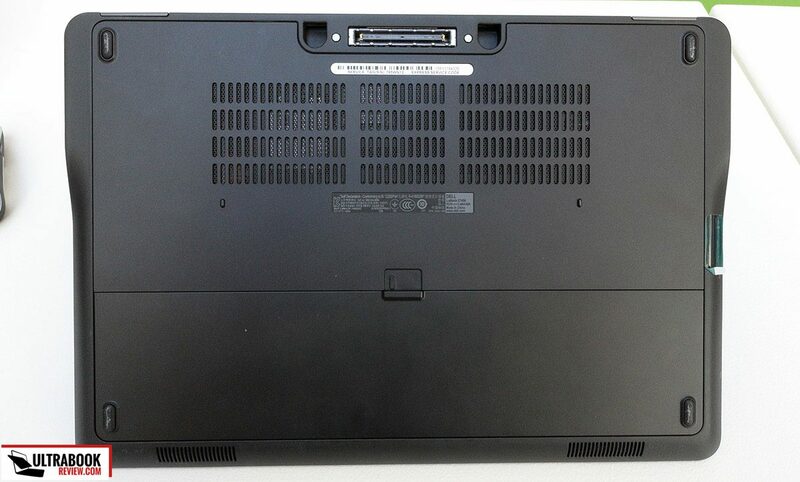 Metals and carbon-fiber are used for the inner chassis and outer-shell, but they are coated in a soft rubbery material which does give the laptop a very nice feeling, but doesn’t seem as premium as some of the flashier ultrabooks out there that sport naked aluminum cases. 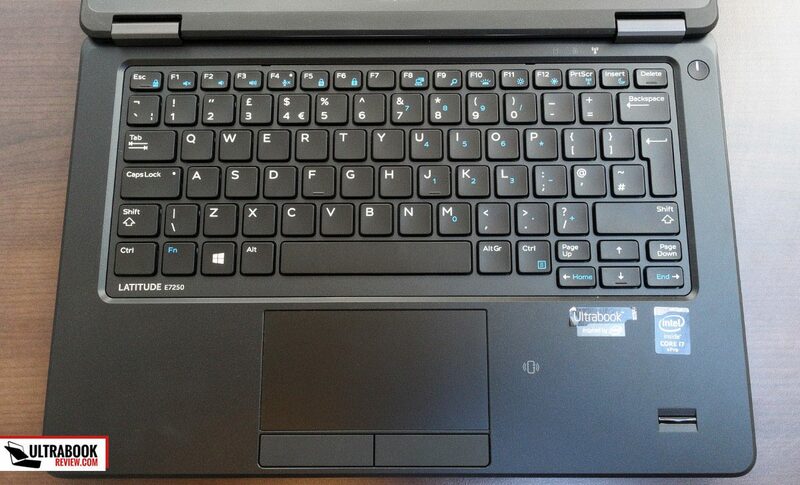 There’s still a bit of flex in the lid-cover, but the lower-body and the keyboard-area hardly bulge at all in daily use, so the overall build-quality is really good here. 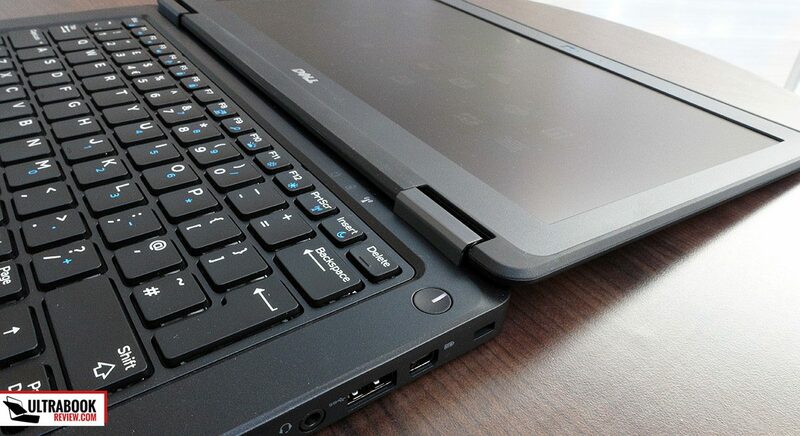 One thing I particularly appreciated was the ports placement: most of them on the back and only a few on the edges, which means that if you plan to connect peripherals, you won’t have to live with cluttered cables around the laptop. 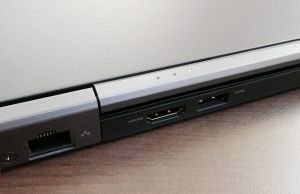 Of course, the device is also compatible with Dell’s docks, in case you need more ports, but the three USBs, LAN, full-size HDMI and miniDP should be enough for the vast majority of you. The battery is placed on the belly and it’s not encased, thus can be easily removed if that’s what you’d like. 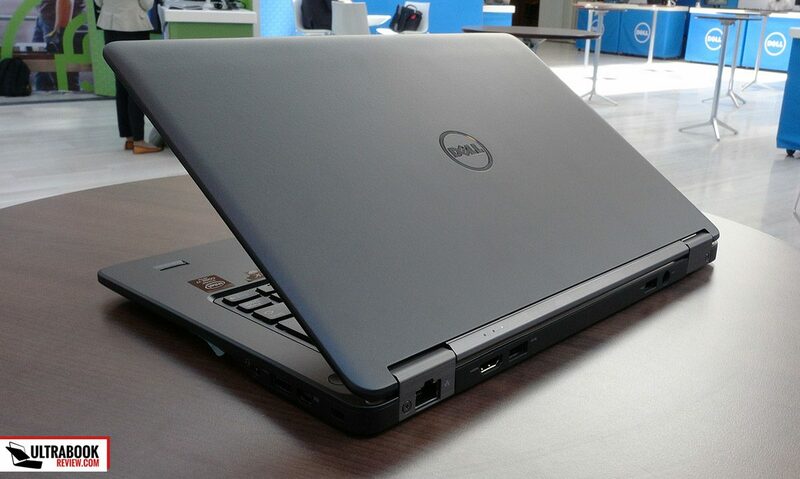 Dell offers a 39 Wh battery on the base models and a 52 Wh battery on the higher end models and the latter does offer impressive battery life in daily use (expect around 6-8 hours). There are also a fair amount of air intake grills here, with the exhaust grills being placed on the left edge. 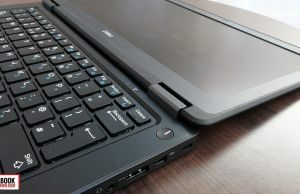 I couldn’t perform any tests myself, but some of the detailed reviews out there mention that the laptop gets hot under load and becomes noisy, especially if you’ll opt for the more powerful configurations, with Core i7 processors. Throttling is present as well. That’s a major issue, as buyers expect such a machine to perform to the best of its capabilities, especially when paying a very high price tag, like in this case. While we’re still speaking about the hardware, it’s worth noting that this machine offers two memory DIMMs (for a total of up to 16 GB of RAM) and an mSATA SSD, both accessible and easy to upgrade if needed. 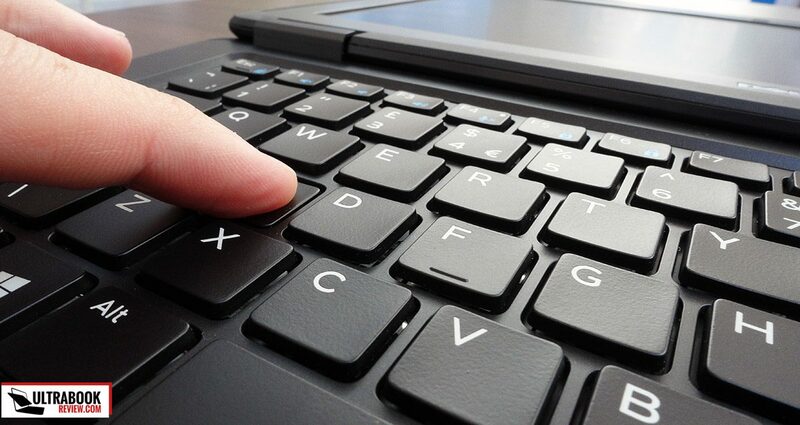 Anyway, I’ll add a few words about the keyboard. I especially liked the soft finishing on each key, they feel different than anything I’ve tried lately. 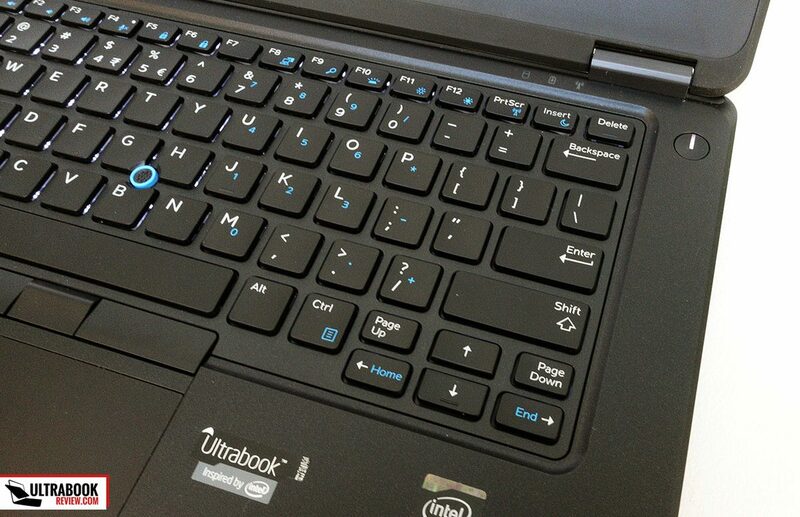 The keys are slightly concave, backlit and more importantly, very firm, thus able to provide excellent feedback. 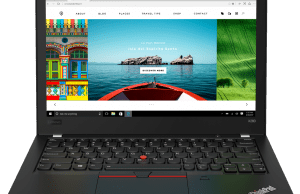 The stroke is about average I’d say, not as deep as on the latest ThinkPads, but longer than what you’re getting with most ultraportables. The version that I got to test came with the European layout, with the small Shift on the left and tall and narrow enter, which I find atrocious, but it’s something one could get used to. US layouts are better and also available in most regions, not just in North America. 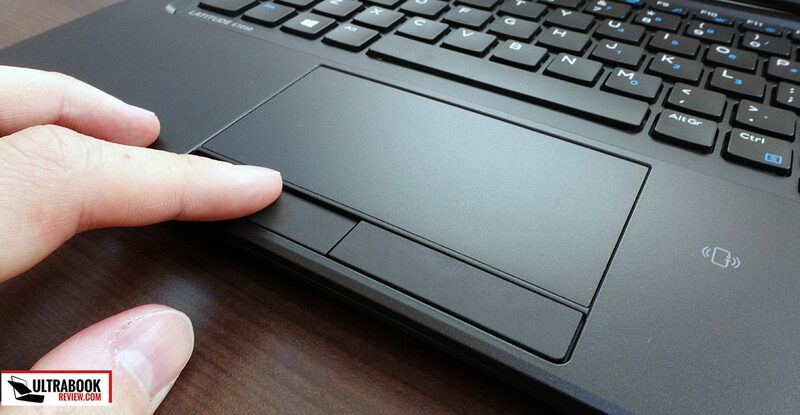 A spacious trackpad sits beneath the keyboard, with excellent mechanical click buttons. The surface is smooth and seemed responsive in the short time I got to spend with the laptop, but check out more detailed reviews for in depth impressions. There’s no TrackPoint on this version. I’ve kept the screen for the end because it’s my major nit with this series. 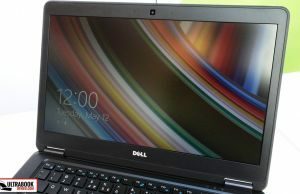 You get to choose between two options, a non-glare 1366 x 768 px TN panel or a 1920 x 1080 px touchscreen with an IPS panel. The latter is $280 (!!) more expensive than the former and even so, there’s no option for a matte IPS screen from what I can tell. Last but not least there’s the price. 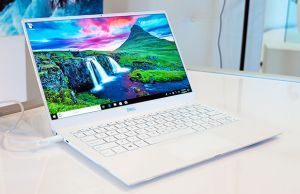 The most basic Latitude 7250s sells for over one grand and a configuration that would include a Core i5 processor, 8 GB of RAM, a 256 GB SSD, the 52 Wh battery and the IPS touchscreen would cost around $1800 as of this moment. That’s a lot, you can find something similar on consumer ultrabooks for as low as $1000-$1100, albeit the comparison isn’t exactly fair. 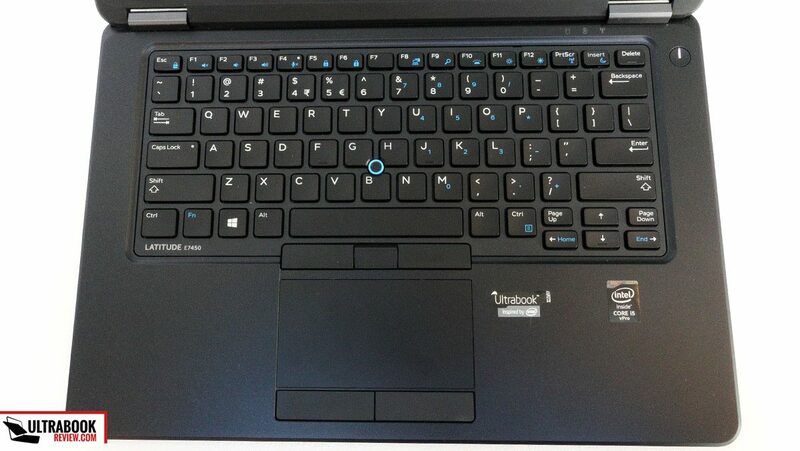 The problem for Dell is called Lenovo ThinkPad X250 though which is a business ultraportable as well. 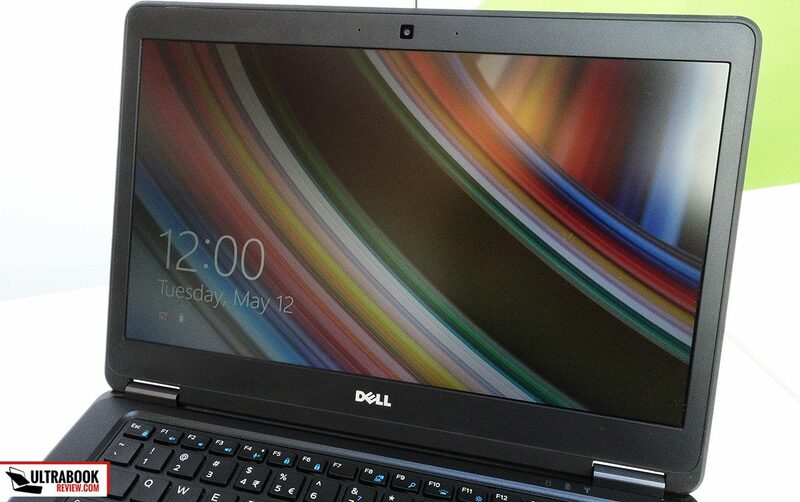 A similar configuration sells for $1400 with a matte FHD IPS screen or around $1600 with an IPS FHD touchscreen. 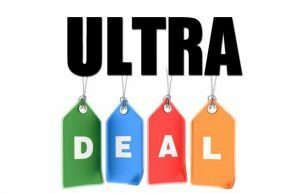 You get extra ports on the Dell, the ability to add more RAM and 3-year warranty included, while the quotes on the Lenovo only include 1-year warranty. 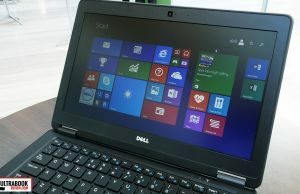 But even so, this Latitude needs to become more affordable if Dell wants us, average users in search of a tough and capable mobile-computers, to actually buy it. 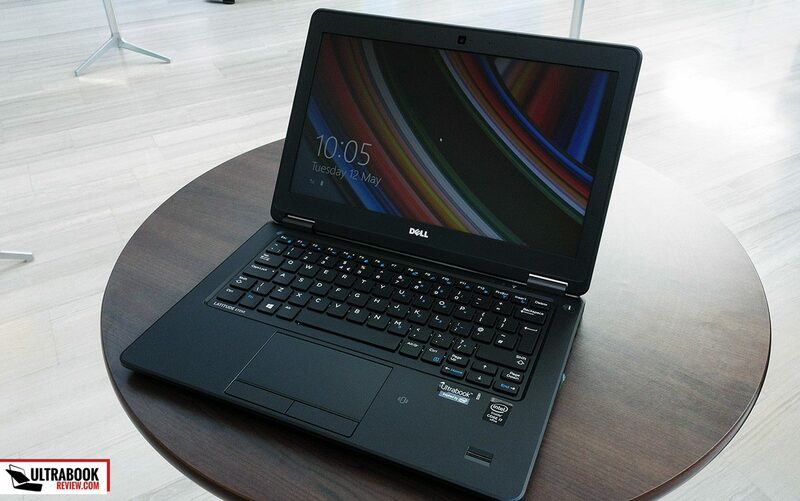 This one is in most ways an oversized version of the 7250, since it needs to incorporate a 14-inch screen. 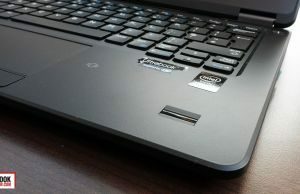 The larger body does help with the overheating and noise problems reported on the Latitude 7250, which are not an issue on this version anymore. 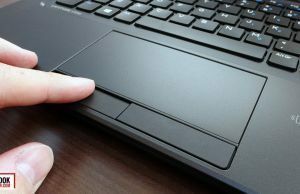 But you will end up with a thicker and bulkier device, that weighs between 3.4 and 3.7 lbs (for the touchscreen models with the 52Wh battery) and is narrowly thicker than the 12-inch model (0.8 of an inch). 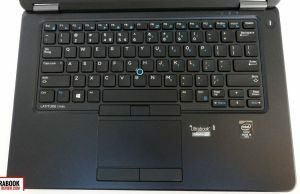 The Latitude 7450 sports pretty much the same build and design as the 7250, the same keyboard and a similar selection of ports placed mostly on the back. The battery is removable and you get to choose between 39 Wh and 52 Wh options. 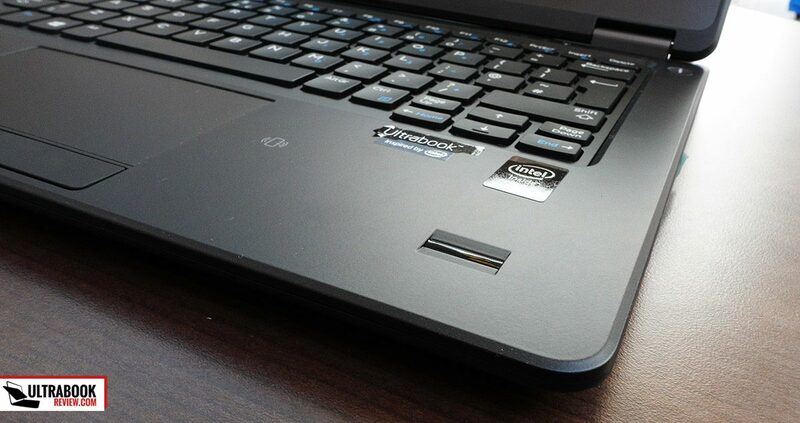 Hardware wise, the machine is powered by the same Intel Broadwell U processors with up to 16 GB of RAM (two DIMMS) and mSATA SSD storage, again, just like the Latitude 7250. 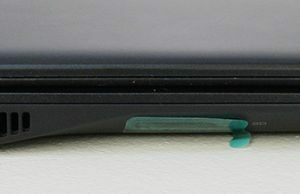 A free mSATA slot can be found inside, which can take a 4G module, and it’s also present on the smaller model. 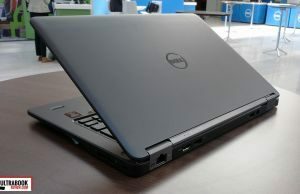 You can opt to buy it from Dell for around $140, or get one in yourself and save up quite a few bucks. There are some things Dell did differently on this particular series though, smarter I could say. 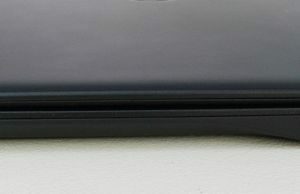 Among those, they offer a matte IPS FHD screen, alongside the matte TN HD and the FHD IPS touchscreen options, and the updates are not as expensive as on the 12 incher ($110 for the matte FHD and $170 for the touchscreen). 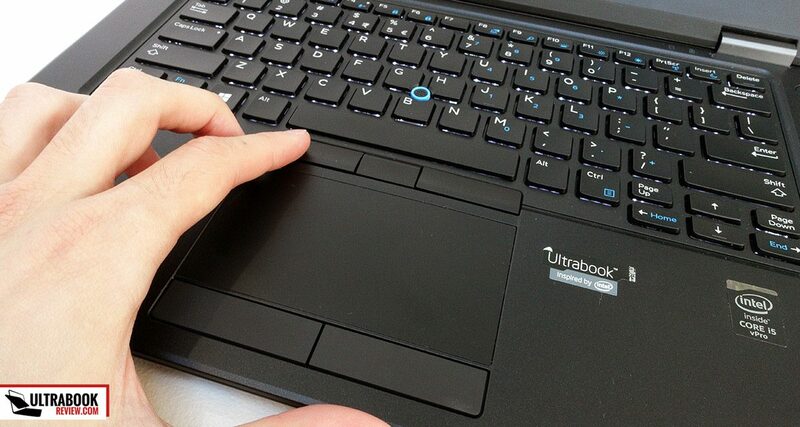 They also included a TrackPoint and an extra set of physical click buttons on top of the clickpad. 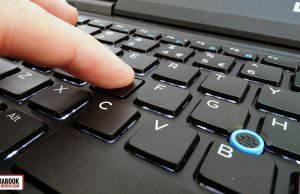 I wasn’t very happy with it in our short encounter, I found it weird, mostly because it does not have the same shape as the TrackPoint on the Lenovos, to which I’m accustomed to. 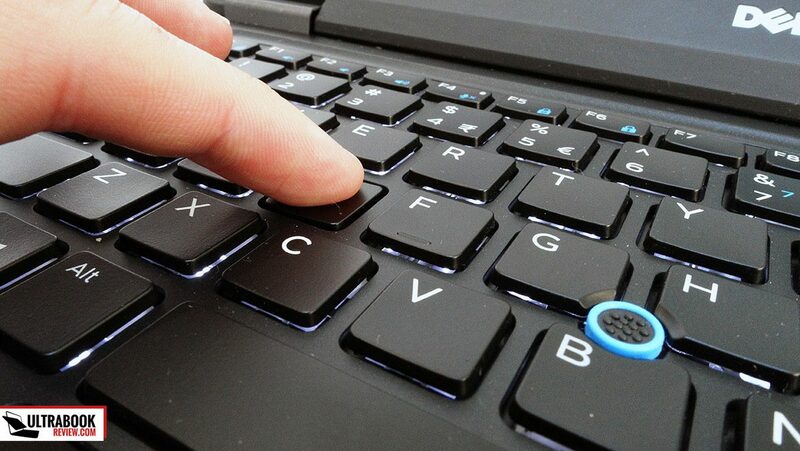 But the TrackPoint fans among you will surely appreciate this feature. 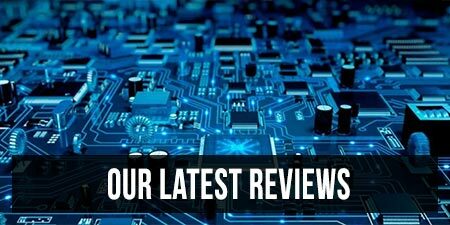 In fewer words, this is one of the best portable laptops out there and many reviews stand as proof, like this one or this one. 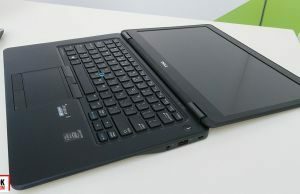 The Latitude E7450 is expensive though, very expensive, with top configurations getting close to 2G, that with a Core i7 Broadwell processor and an IPS matte screen, but only 8 GB of RAM, a 256 GB SSDs and no 4G. Add those and some of the other extras and you’ll be looking at nearly $3000. 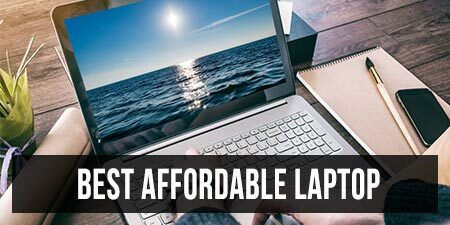 Businesses might pay that much for a brand new laptop, but most average users like us will not, no matter how good it is. 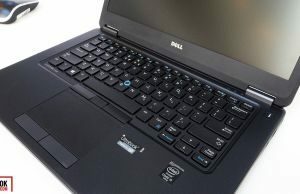 So at the end of the day, while there are many things I liked about these Dell Latitude business laptops, I’m not entirely convinced I’d actually recommend them for an enthusiast consumers the needs the extras offered by such devices. 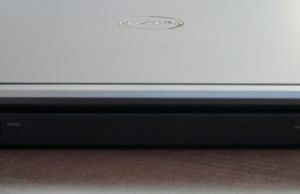 The 12 inch model has some hidden flaws, it’s true, but the 14 inch model is nearly spotless. 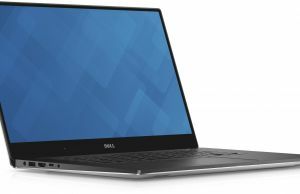 Even so, the pricing kind of ruins both of them and unfortunately for Dell, and luckily for us buyers, there are cheaper and maybe even better alternatives in both cases (especially for the 12 incher). 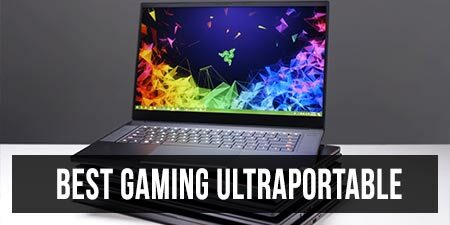 Here’s a list of modern business ultraportables you could consider, as well as my detailed selection of the best ultrabooks available right now. 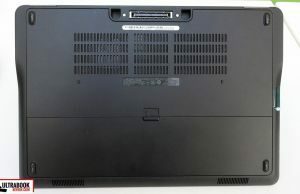 There’s a post on 12 inchers here: http://www.tlbhd.com/best-12-inch-mini-laptops-2839/ . Cross the graphics off the list though, you won’t find dedicated graphics on any 12-incher, there’s just no room for that. It’s too bad that all newer models have that silly 16:9 screen format. I got rid of mine and bought me an older (but still powerfull) TP in 8:5 (16:10) which is an acceptable compromise.